Heather draws upon her depth and range of experience in marketing and research to offer clients highly personalized, excellent service, every time. As a skilled moderator, Heather understands that the human mind functions on both a conscious and unconscious level. We are fully aware of our conscious mind and its rational thoughts. It is where we reach first to explain why we do what we do. However our real beliefs, hopes, fears, attitudes and associations live in our unconscious minds. When needed, Heather includes projective or metaphorical techniques to tap into respondents' unconscious thoughts and feelings, to uncover and understand underlying emotions driving decision-making and behavior. This ultimately enables clients to reach their customers more authentically and effectively. As a former marketer, Heather relied on research-driven insights to help build brands through award-winning, memorable communications and revenue-driving programs and tools. This experience has provided first hand knowledge into the challenges clients face, and what they need from their research partners - creativity, deep insight, research expertise and trustworthiness. Heather holds an M.B.A. from Villanova University and a B.A. from the University of Richmond in Economics and Sociology. 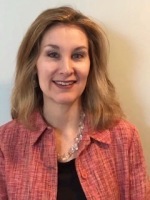 She is an enthusiastic member of the Qualitative Research Consultants Association (QRCA), serving on the national membership committee and Delaware Valley chapter board.